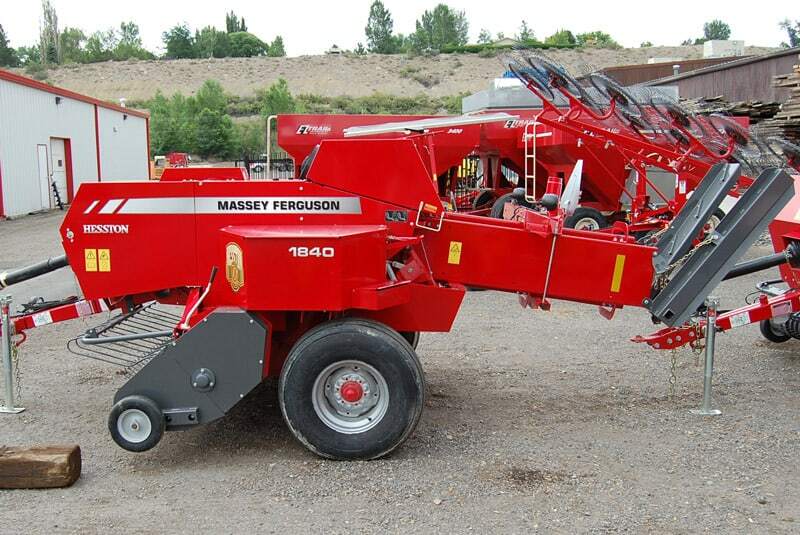 HESSTON 1840 – TOPS IN 14 X 18-INCH BALERS – The Hesston 1840 is the leader in high-capacity baling and rugged reliability. Pickup capacity and feeder capacity are critical in large, uneven and varying crop conditions. 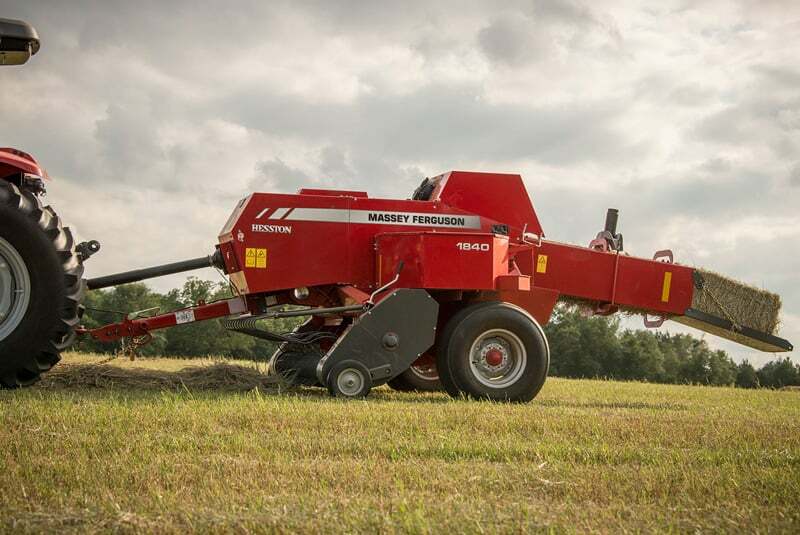 Whether you bale a few acres a year or you’re a commercial producer, there’s one small square baler that can do it all — the Hesston 1800 Series. Featuring the same efficient in-line design as our industry-leading large square balers, the Hesston 1800 Series runs directly behind the tractor and straddles the windrow like a round baler. It offers benefits you just won’t find with conventional side-feed designs. Bottom line, you’ll just get better hay. 1800 Series delivers bales that are consistently higher quality and uniform in shape. 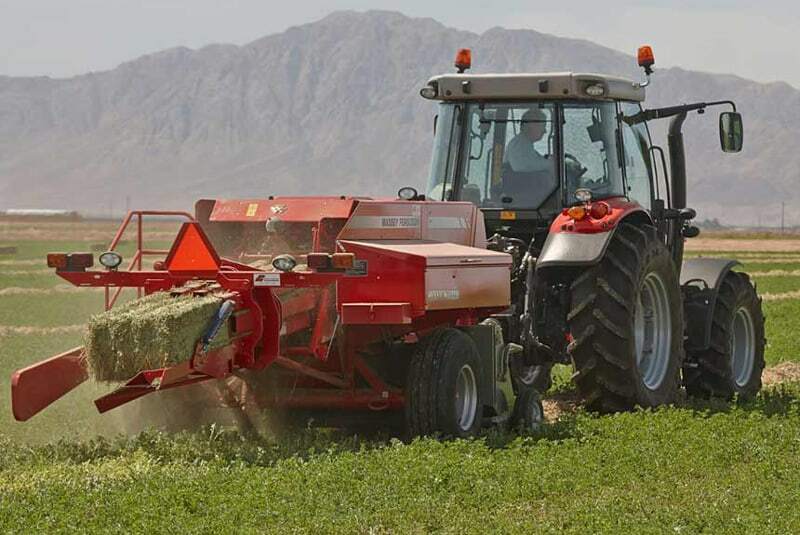 On competitive balers, the plunger has to form, cut and compress the hay that’s side-delivered through the bale chamber into an individual bale slice. 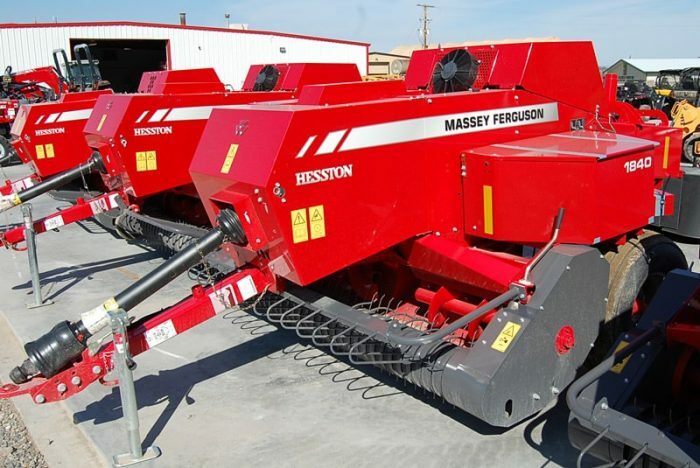 On the Hesston 1800 Series, these operations are evenly distributed between the pre-forming chamber, packer/stuffer and plunger, which helps minimize peak loading on the entire drive system. And because each bale flake is pre-formed before it goes into the bale chamber, the nutritious leaves are more evenly distributed and the same amount of crop is distributed to each side of the bale. The result is uniform bale density from top-tobottom, side-to-side and end-to-end. The benefits of in-line design go far beyond better shaped bales. Because field and road positions are one in the same, you save time when you’re on the move. It also means the baler and any wagon pulled behind it are towed in a straight line, for less twist or strain on the baler frame. And the baler can adjust to ground contours faster and easier, since flotation tires are of equal size on both sides of the machine.